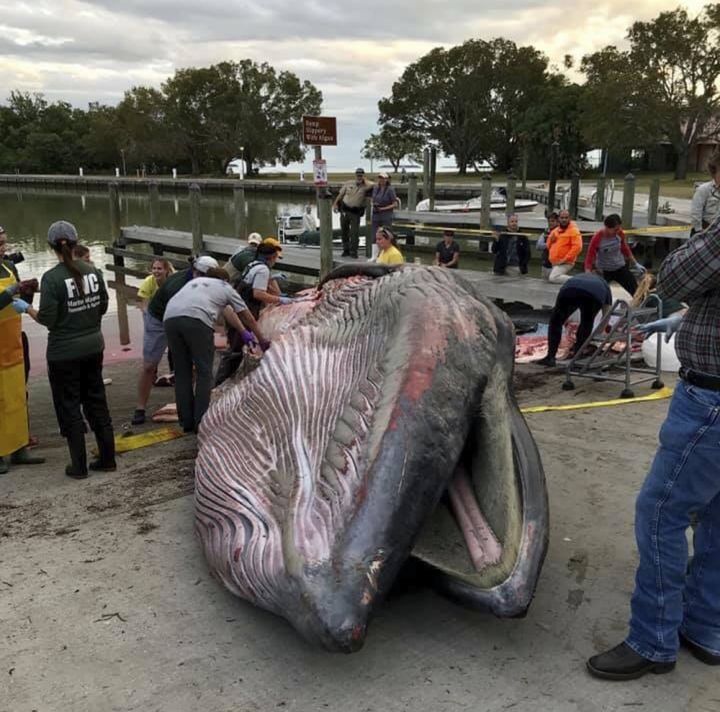 NEW ORLEANS — Federal scientists say a tiny group of Bryde's whales in the Gulf of Mexico is endangered, facing threats including oil and gas exploration and development. "They're the only year-round baleen whales that make their home in Gulf of Mexico, and (they) have a unique and very important role in the ecosystem," said Laura Engleby, a marine mammal biologist with the National Oceanic and Atmospheric Administration fisheries' service. Two other subspecies are found in tropical waters around the world, but this one is so genetically different it may even be a different species, Engleby said. The filter-feeding whales known as baleen whales can be hard to tell apart by sight, she said. "That makes it even more challenging to study them, in some ways," she said.